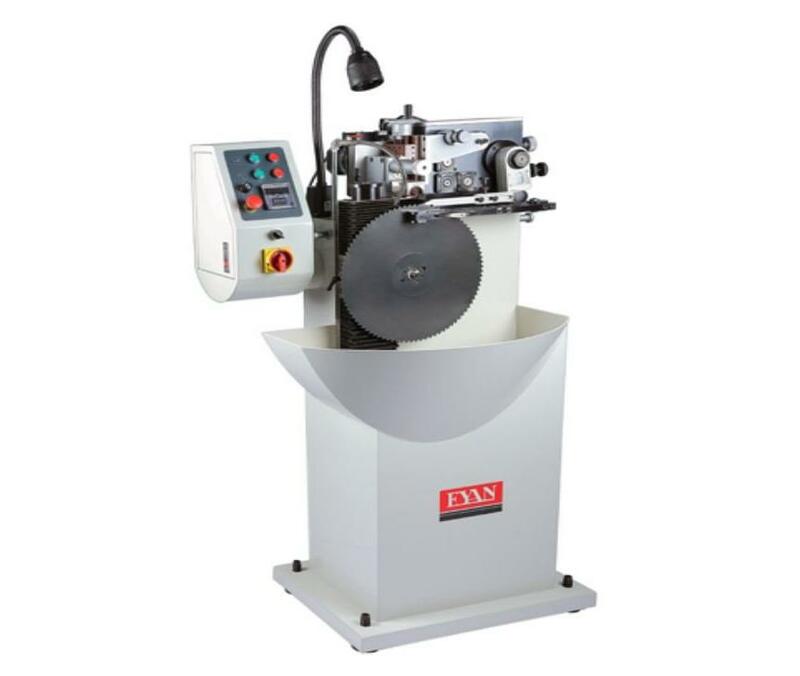 Semi-automatic and vertical-type chip break slot grinding machine, allows for variable grinding speed from 15-90 per minute. Meticulous design after years&apos; relentless hard working. One professional class CHIP BREAK machine. patented vertical grinding method, which allows you easy circumstance of operation. Automatic chip breaker slot grinding machine is for grinding HSS & TCT sawblade. BR is fully automatic device, alternate grinding of interval teeth, quick set up times and very easy to use, a slots precise mechanical adjustments. High frequency electronic spindle with 40000rpm, it can make grinding wheel life longer, automatic shutdown on completion of operation, machine controlled does not use air, with simple operation. Use frequency converter to control the speed of grinding. Therefore, grinding speed can be adjusted with the change of teeth pitch.